The passion of H.Santosa Doellah for preserving Batik, trigger the idea of building a museum of batik. As one of the Cultural identities, batik is an insperable part of the city of Surakarta – or popularly known as Solo. Batik crafts-starting from home industries to giant professional manufacturers – are a common sight in every corner of the city.The history of Batik Danar Hadi also began in this city, when H. Santosa Doellah and his wife Hj. 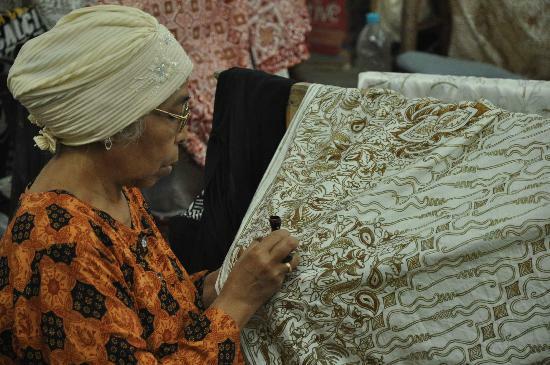 Danarsih Santosa decided to start their batik business in 1967.The name Danar Hadi itself was actually a combination of two names ; Ibu Danarsih and her father H.Hadipriyono. Displayed in this gallery are the antique batiks that were created through the period of time before and during the Dutch and Japanese occupancy, till the independence of Indonesia. Observe batik art at its finest, which includes the Batik Kraton, Batik Belanda, Batik Cina, Batik Hokokai, Batik Indonesia and Batik Saudagaran. The old building of Ndalem Wuryanigratan itself is promised to be an interesting object for cultural tourism, displaying the spendor of traditional Javanese architecture. 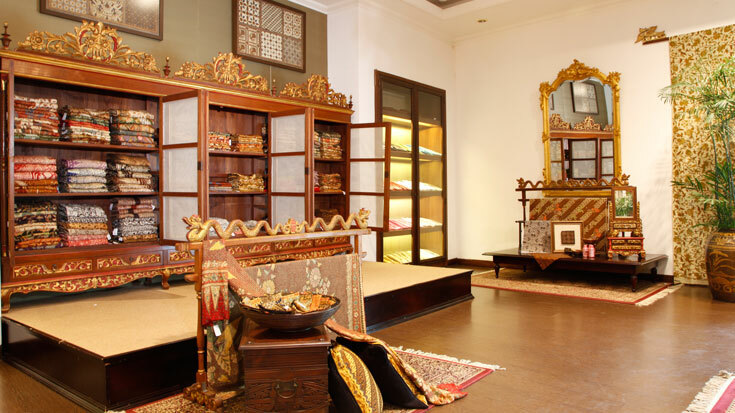 The shop provides a variety of exclusive items from exclusive batiks, specific souvenirs from Solo and nearby regions, to high quality Javanese antique and ethnic products. Guests may feel comfortable in the attractive and artistic atmosphere of the shop.